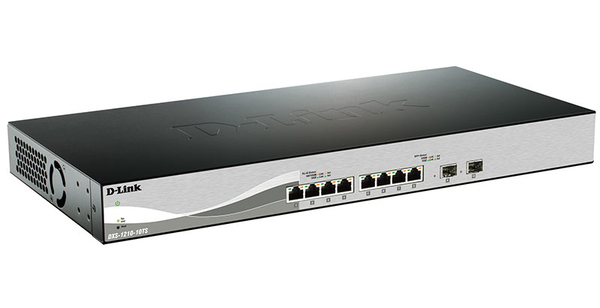 D-Link’s innovative Safeguard Engine protects the switches against traffic flooding caused by malicious attacks. The DXS-1210-10TS/12TC/12SC supports 802.1X port based and host based authentication, allowing the network to be authenticated through external RADIUS servers. In addition, the Access Control List (ACL) feature enhances network security and helps to protect the internal IT network. The DXS-1210-10TS/12TC/12SC includes ARP spoofing prevention, which protects from attacks on the network that may allow an intruder to sniff data frames, modify traffic, or bring traffic to a halt altogether by sending fake ARP messages. To prevent ARP spoofing attacks, the switch uses packet control ACLs to block invalid packets that contain fake ARP messages. For added security, the DHCP server screening feature rogue DHCP server packets from user ports to prevent unauthorized IP assignment.